This bright lime green clutch can also be used as a makeup bag. It has a top side to side zipper opening with a circular (donut hole center) zipper pull with Adrienne Vittadini etched around the sides front and back. The exterior is in a textured thread angled pattern. 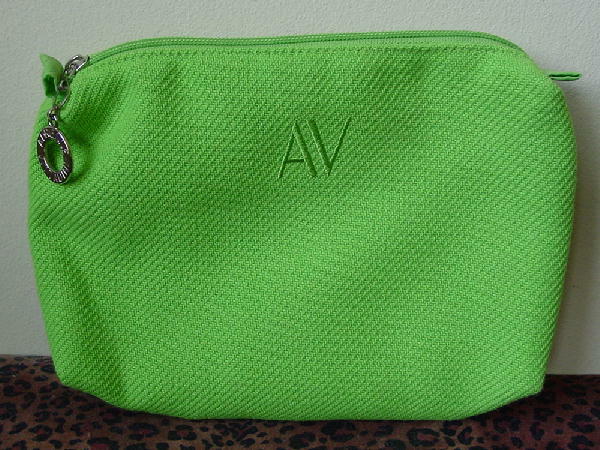 "AV" is embroidered in bright lime green on the front. The interior is in white plastic.